Congratulations to Irina of Dolce Vita Games, developer of our December GameSalad Game of the Month, Circus Life. Read on to find out how Dolce Vita pulled this off. GameSalad: Congratulations on Circus Life! Visually, it’s really quite striking and the art style really sets it apart. What inspired you to make a circus-themed game? Irina: Thank you! Circus Life is my first game, so this is a great honor. As for inspiration, I grew up in a circus family and was performing in the circus from the age of 3. It was an amazing childhood! Later on as an adult I worked as a contortionist and traveled all over the world performing in the circus. I always played video games though, but never thought it would be possible to make games myself. The mobile games revolution and the introduction of an easy to use engine like GameSalad made it possible for my dream to come true. The balloon gameplay actually came to me in a dream I had. I woke up, made a GameSalad prototype in a few hours and the core gameplay never changed until I released the game a year later. The visuals are inspired by the style of vintage circus posters. To me the golden age of the circus was back in the early 1900’s, so Circus Life has a very nostalgic look and feel to it. GS: Tell us about Dolce Vita Games. How long have you been in business, what have you worked on before, and what are your long term goals for the studio? Irina: Dolce Vita Games is a new studio and Circus Life is my debut title. I work with a small group of contractors and we have a virtual office. The long term goal is to stay committed to the idea of continuous improvement. I want to learn something new every day and make sure that each new game is better than my previous one. GS: One of the elements that we found so charming about Circus Life was the charming little protagonist who is trying to woo the girl and the cutscenes between him and the evil ringmaster/circus owner. How did you develop these characters? Were they inspired by real individuals, or composites based on stories/films? Who served as the models for the game assets? Irina: The story is very important to me when I play games, so I wanted to make sure that Circus Life had a story that would encourage players to keep playing. I also wanted to convey that a life in the circus is fun, but also a lot of hard work. The protagonist in Circus Life must go through a lot to make his dreams come true. Making my first game was also a lot of work and a formidable challenge. In a way, the little man in Circus Life and I shared a similar journey. It feels great now that the game is out and people really love playing the game. The story of the little couple who fell in love and the evil circus director who tried to keep them apart was inspired by stories I heard growing up in the circus. I tapped friends and family to play the characters in the story sequences and I used my own likeness for the female main character. GS: Circus Life is a very polished product. We noticed you took a great deal of care in the implementation of controls, menus, even sound effects were very carefully implemented. Tell us more about your development process, and how you built Circus Life. Did you design the game as a whole first, or iterate on the individual games until each felt right? How did you balance the microtransactions and unlocks? Irina: I appreciate that you noticed all the little details in the game. In my experience polish is probably 70% of the development effort and I think it is 100% worth it. I’m a perfectionist and I wanted to make sure that everything felt good – from core mechanics to simple button presses and sound effects. I guess rapid prototyping is the best way to describe my development process and GameSalad is a great tool to quickly test all kinds of gameplay ideas. Some levels in Circus Life felt solid from the start while others needed a lot of tweaking before they worked the way I wanted. I spent a lot of time on creating little features to help the player feel smart and successful. The worst thing you can do is to frustrate the player. 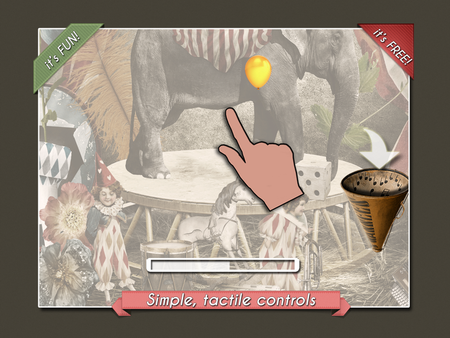 For example, initially the collision logic for the popcorn game used the actual shape of the popcorn and it worked fine. 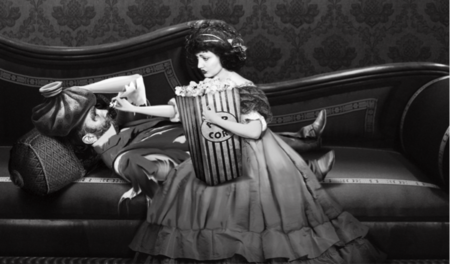 However, early testing showed that people were unable to bounce the popcorn properly and thought the game was “cheating”. In the end we ended up cheating in the opposite direction by helping the player make it much easier to bounce the popcorn around the screen. It was the right thing to do because now players blame themselves if they drop a popcorn, not the game. You know, I don’t like games that force you to pay, so I decided early on to design Circus Life this way. You can pay for shortcuts to unlock levels faster, but you don’t have to. I also added some extra power-ups in the game that the player can earn through playing or purchase in the store. Approximately 5% of players in Circus Life spend money on in-app purchases, so that is in-line with what I had hoped for. GS: How did GameSalad help you bring Circus Life, to, well, life? Any words of advice to other developers using GS? Irina: There is no doubt that Circus Life would be nothing but a dream today without GameSalad. I love the easy to use tools and the community that supports the engine. There is also a lot of new features coming to GameSalad to be excited about. The challenging part was to keep the load times down and make the game run at 60 frames per second on older devices, but the effort was worth it. My advice to other GameSalad developers would be to focus on the player experience first and then find time to test / polish / rinse / repeat. The little things matter a great deal. Ensure that everything that the user interacts with feels good and is easy to understand. Making something simple to play is difficult and takes a long time while making something complicated is very simple and can be done very quickly. Finally, spend some time learning what GameSalad can do and then shape the game around the capabilities of the engine. It will make your life a lot easier and your games much better. Congratulations, Irina and Dolce Vita Games! We wish you great success with Circus Life, and look forward to Dulce Vita’s next great game! 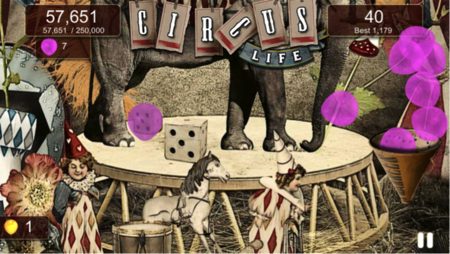 Circus Life is available now on the iTunes App Store and Google Play!